Early this year the US president Donald Trump has imposed tariffs on washers. In March tariffs on steel and aluminuim followed. As Donald Trump threatens with tariffs on cars and other products the situation escalates. Today Donald Trump said he wanted trade with EU without tariffs at all. But why all this stories. Tariffs up, tariffs down and escalating trade negotiations? China is an upcoming nation with a very succesfull history. 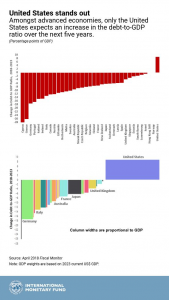 It was the largest country with the biggest economy globally until the end of the 18th century. The invention of foundry technology and mass production, paper money and the calculator are devolopments of chinese people. After the two opium wars the chinese fall. The last 30 years chinese economy finds traction, supported by western companies which finds cheap workers in China producing goods for the west. Western countries supports the situation which delivers cheap high quality and high tech products to their stores. China becomes the production hub of the world. But with the production, also knowledge and development finds it‘s way into chinese companies. In old tradition of discipline and endurance chinese ingenieurs began to develope their own products. China of today is the second biggest economy with the most innovative industry globally. It‘s the leading country of solar technology and the leading chip producer globally. It‘s army has carriers and is the second strong behind the army of the USA. China is on the way to build its own space station and planing landings on the moon, plays a leading role in electro vehicles and 3D printing. But all those developments are from a country that competes to the systems of the western states. China is still a communistic nation. Differences between the western nations and China are big. Cultural cooperation between China and the western nations are still difficult. The western countries can‘t integrate easily China into their cultural system. So USA has to defend itself to keep the world‘s leadership. The situation of China is better than the situation of USA. As USA starts to impose tariffs on chinese goods the chinese starts to buy companies or plants which produce the goods they wanted to import in EU and USA. For chinese this has a doubled effect. 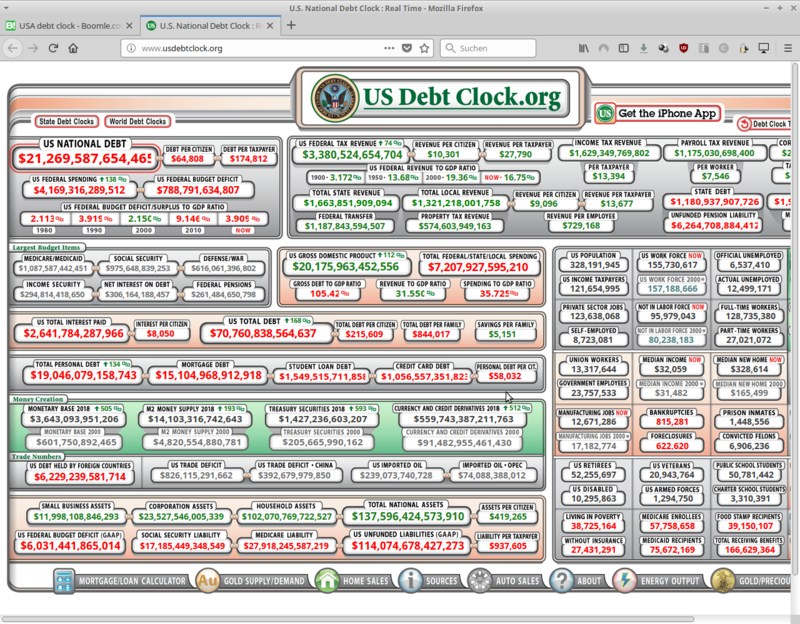 First they circumvent the taxes. The second effect is, that they can buy new technology and patents, so they can change production technology and demand fees for the licenses. So USA strengths the control of mergers with CIFIUS. China has a lot of people with a big domestic demand. It has capacity enough to sell it’s goods to the own people. With the big population of India in the neighborhood the demand strengthens. Also the financial situation looks better for the chinese. 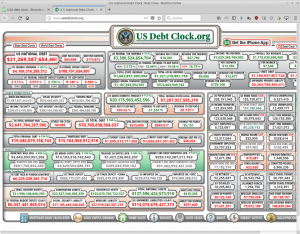 The US debt is 105,42% of GDP, personal debt is up to 134% reaching 19 trio $ as GDP is more than 20 trio $. The chinese government debt to GDP ratio for 2017 increases to 47,6% the last 20 years. 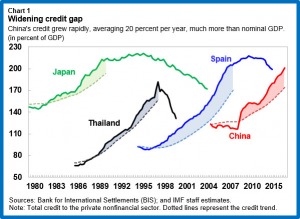 But it‘s corporate debt widens dramatically, so the banks had to regulate lending conditions. Chinese has to watch it’s bad loans related to corporate lending. 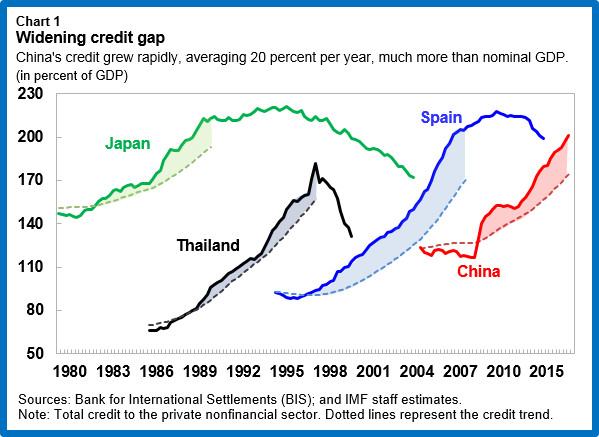 Both the USA and China are widening the credit gap. The chinese answer to taxes on goods for the USA was taxes on agriculture products from the USA. So the farmers of the USA were beaten. Today Donald Trump and Jean Claude Juncker made a deal that there are no tariffs on european cars and different other european products exported from Europe to the USA and that the EU widens the import of US soya products. „Soy beans is a very big deal.“: president Donald Trump remarks at the press conference after the meeting with Jean Claude Juncker. It looks like the USA wanted to start action against China with an old ally, the Europeans. Will Europe follow the course of USA?